Oxo are a well known brand but a brand that I had always thought were confined to ranges such as baking and cooking. I didn't realise, until I had Isla, what a fab children's range they offer. Thank goodness I know now! We were sent an Flippy Snack Cup with Travel Cover. 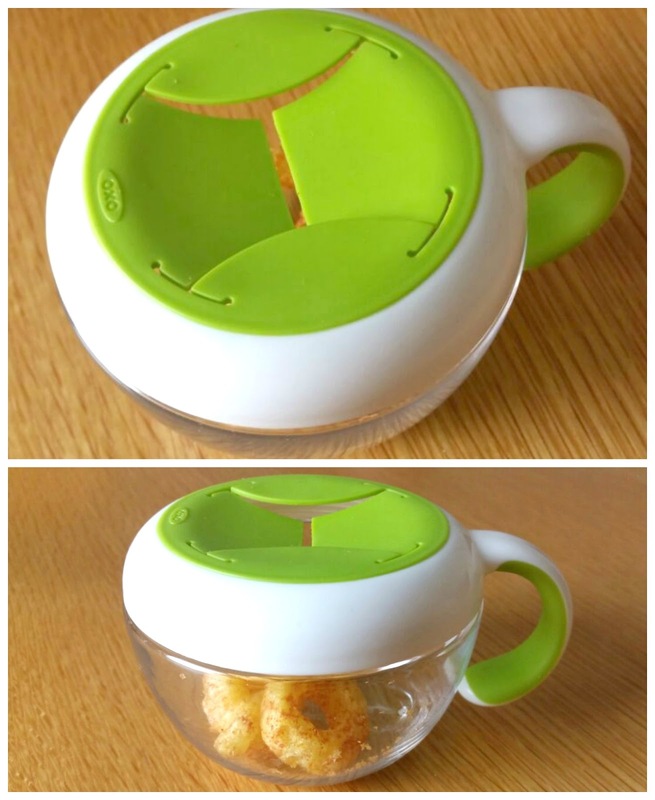 from the lovely people at Oxo Tot to review. I chose the Green as I thought it was a lovely, vibrant, fun colour. 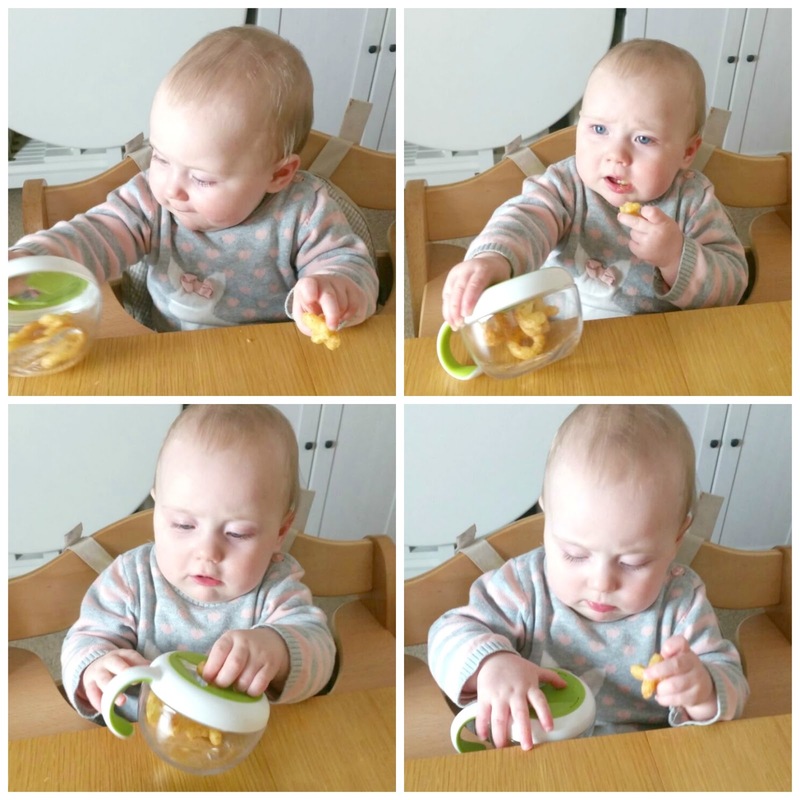 The Flippy Snack Cup is recommended for 12 months+ but Isla handled it fine. She took a couple minutes to figure it out but managed to get her organic puffs out no problems once she got the hang of it. It became a bit of a game at one point but I think it actually encouraged to eat them one at a time. Compared to when she tries to shove the 3 I've put on the table in front of her in her mouth all at the same time! Every now and again she would get her hand stuck in the pot but that's when she wasn't holding onto the handle properly. I'm sure an older baby would! It's great for when you're out and about because it keeps your snacks lovely and fresh and safely tucked away until you let your baby at them. Our open top snack pot, we were using before, used to just get tipped out the minute I handed it to her! - dimensions - 3.5" x 3.5" x 2.72"
Anything that minimises the amount of picking up off the floor I have to do is a winner for me. 10/10 Oxo Tot! 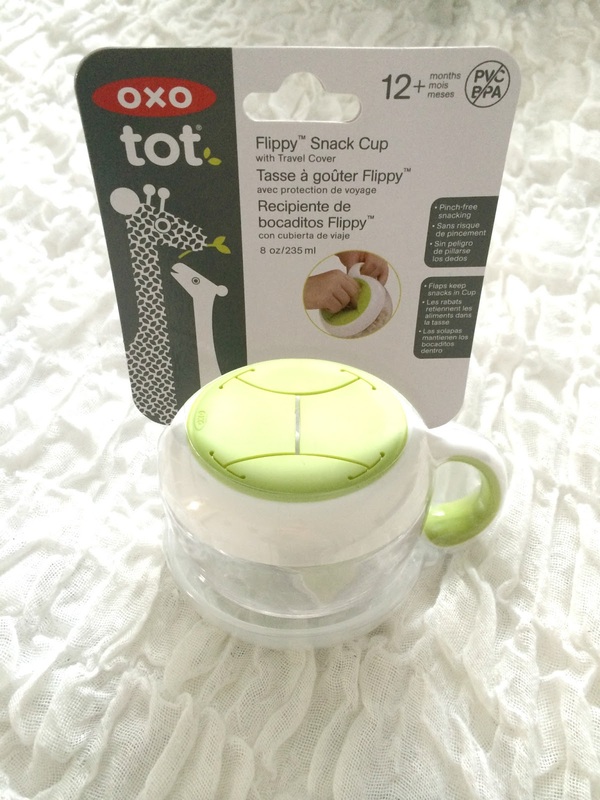 The Oxo Tot Flippy Snack Cup with Travel Cover retails for £6 at all major baby retailers.